Take a look at our ticket prices and find the cheapest way for your destination! 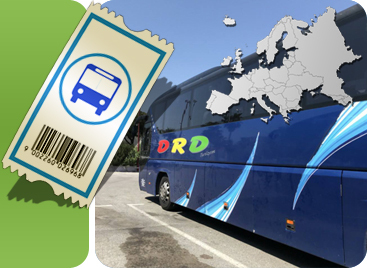 Company DRD is engaged in the organization and implementation of regular and occasional passenger transportation. Our fleet covers vehicles of different capacities. All vehicles comply with all required regulations and laws, and are operated by licensed drivers with many years of experience. During the journey, all passengers are insured. phone. : + 386 (0)51 224 222, e-mail: info@drd.si Web solutions 4WEB d.o.o.